"Real" So of FIFA certified, get used to serious. Because it is realistic can become hot! Europe 5 recorded large League all 98 club of FIFA registered player in the real name / live-action! England (Premier League) / Spain (La Liga) / Germany (Bundesliga) / Italy (Serie A) / France exhaustive (Ligue) league. It becomes a serious because the real thing it is. Korezo soccer game! 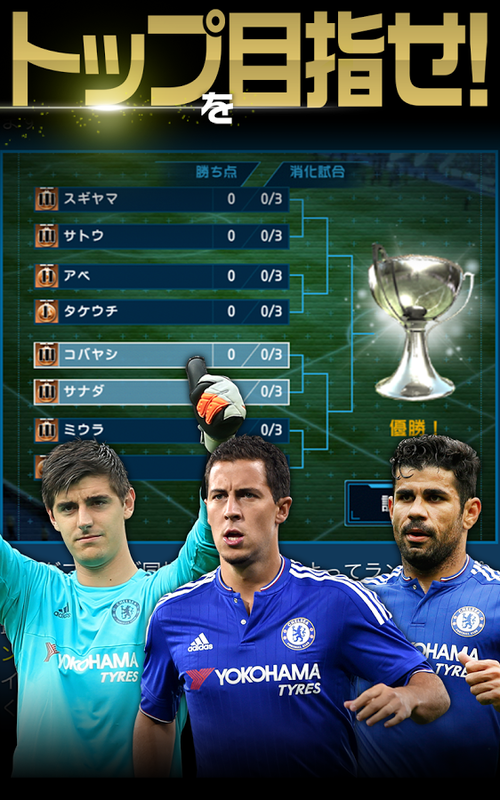 Do you Tsukuseru play the FIFA2016? Also participated representative warriors dressed himself to the representative uniforms! Argentina representative of Tevez, the Dutch international Sneijder, also Pirlo ,,, hero of the countries of Italy representative again on the stage of the FIFA 2016! It becomes a serious because the real thing it is. Korezo World Class Soccer (WCS)! FIFA2016 is much up also fun collection! Messi and not just Kagawa, to all the players a chance to become a superstar! Low player of rarity, nor your favorite players, a further star, depending on training Mezaseru! 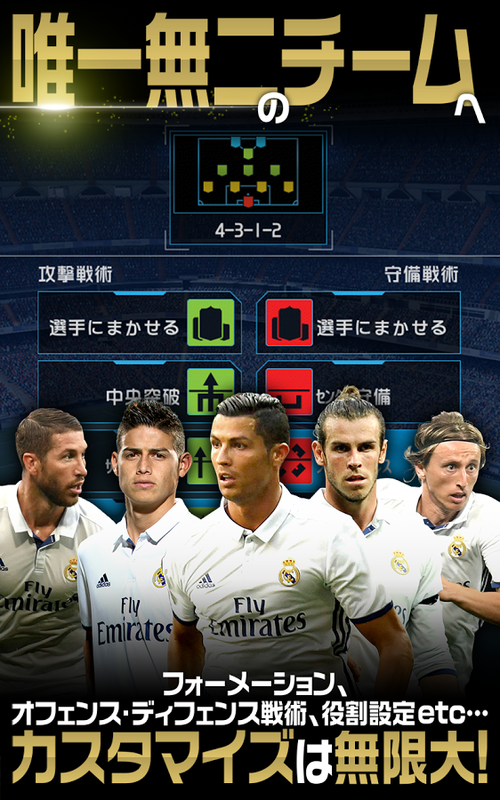 Four styles, going to training to a player in his own tactics in the six sub-parameters! In FIFA2016, it can be customized to a new style of player ever! Strategy × tactics all 1,500 ways. 15 formation, the four strategies, offense-defense tactics, making full use of placement and role settings for each player, overlook the game with the best team! Strategy to study the opponent, tactics, or to change the player configuration, or stick to their beliefs! Victory is determined by your decision!